Homepage | Welch Equipment Company, Inc. Welcome to the Welch Equipment Company, Inc. material handling catalog! 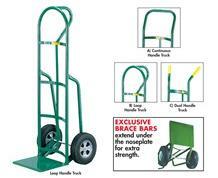 Here you will find quality material handling and industrial supplies for all your needs. Every effort has been made to bring you the products you need with great pricing and service to match! We hope you enjoy browsing our catalog.